English: In 2013, the Ministry of Cooperatives and Small and Medium Enterprises (Min. 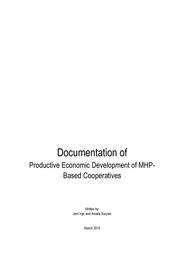 of Cooperatives and SMEs) initiated the development program of 10 (ten) MHPs through cooperatives with the primary objective to operate productive business activities. The Min. of Cooperatives and SMEs program has a different approach than the off-grid rural electrification initiatives by other government institutions, by providing grants directly to local cooperatives. This addresses concerns about the sustainability of MHPs: the existence of the owners of the facilities (MHPs and business centers) that reap immediate benefits; and facilities that are now in the hands of a legal entity. The most prominent objective of the Min. of Cooperatives and SMEs program is to empower local cooperatives to improve local productive economies through power generation facilities. In addition to being responsible for operations and management of MHPs, cooperatives will also run rural businesses by utilizing electricity generated by the MHPs. In line with these objectives, GIZ cooperates with the Min. of Cooperatives and SMEs to support this initiative through technical reviews to ensure that the MHPs built meet the principles of good MHP development so that they can provide electricity as planned; as well as training on operation and management of an MHP for managers of MHPs. 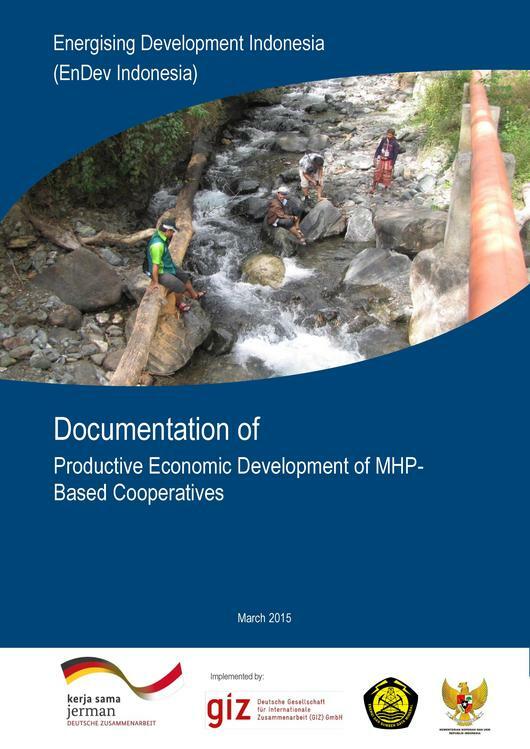 In addition, in the hope that productive activities will improve the sustainability of an MHP, the entrepreneurial capacity building of the boards and members of cooperatives is important, especially for those who have run a business. Therefore, a training that covers the business identification, marketing, human resources, investment and access to credit, bookkeeping and business planning topics is organized. This page was last modified on 1 August 2017, at 10:37. This page has been accessed 5,877 times.